THE Obama Administration is expected to seek approval from Congress shortly to proceed with the largest single arms deal in history – the sale to Saudi Arabia of more than US$60bil (approximately RM180bil) worth of fighter jets and attack helicopters. The deal, which is very likely to be approved, is expected to generate over 77,000 American jobs over the next few years. Other Gulf States are expected to follow suit with significant arms purchases of their own. New defence spending by the Gulf States could eventually total well over US$130bil. Whether it will bring security and stability to the Middle East is another question. The immediate justification for the massive increase in defence spending by the Gulf States is the threat from Iran. Iran has certainly been making a lot of threatening noises. Uncertainty over the direction of its nuclear programme has caused much concern. President Mahmoud Ahmadinejad’s vitriolic anti-Semitism and his threats against Israel have further added to regional insecurities. There is also no doubt that the government of Iran is a repressive and ruthless one with a horrific record of human rights abuses. The question is how much of a threat does all this make Iran? A closer look at defence expenditures in the Middle East provides some perspective. According to the Stockholm International Peace Research Institute, Saudi Arabia and other Gulf States spent more than US$64bil on defence last year. Israel, the preeminent military power in the region, and its sole nuclear weapons state, spends at least US$14bil annually on defence and has access to sophisticated US weapons systems not available to other Arab states. The US, which provides the main security umbrella for the Gulf States, spent over US$663bil on defence last year, more than six times its nearest rival, China. Iran, by comparison, spent just over US$9bil. Iranian hopes of acquiring advanced Russian air defence systems were recently rebuffed by Moscow. Clearly, Iran is already outgunned by its neighbours. No less a person than General David Petraeus confirmed this when he indicated recently in a speech in Bahrain that the United Arab Emirates alone could take out the entire Iranian air force if there was a war today. In the light of this, one has to wonder if the whole Iranian threat is being skillfully overplayed. Are we seeing a repeat of the strategy that was used against Iraq less than a decade ago? Whatever the answer, one thing is certain: the further integration of Gulf defences into the American global security framework. 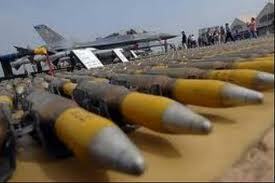 The advanced weaponry being sold to the Gulf States will also carry the inevitable safeguards. The aircraft destined for Saudi Arabia, for example, will reportedly have fail-safe devices to prevent its use against Israel or other American allies. In any case, Gulf defences are now so tied into the American chain of command via the Combined Air Operations Centre in Qatar that independent action is almost impossible. What is really troubling about such massive arms spending is that it does nothing to mitigate the real threat – the vicious cycle of poverty and backwardness that has spawned so much instability and violence in the region and beyond. As the 2009 Arab Human Development Report pointed out, despite its vast oil wealth, the Middle East remains one of the least developed regions in the world with more than 40% of its population living in poverty. If Arab governments committed as much to economic development, education, health care and democratic transformation as they do to defence, a strong, stable and prosperous Middle East could emerge that would positively reshape the region’s geopolitical landscape. For Malaysians, all this is not as academic as it may seem. The same forces that convinced or coerced the Arabs into spending so recklessly on defence have been busy in our region as well. Last year, Singapore spent over US$1bil to upgrade its fighter aircraft. Can there be any doubt that Malaysia and others will soon want to upgrade as well? It will not matter too much that we are still struggling to integrate all the advanced defence technology that we purchased the last time around or that these expensive warplanes have a tendency to end up in our padi fields. Of course it would help if we had someone like Ahmadinejad in our region to help justify a new round of defence spending. Perhaps a case could be made against those “imperious Chinese” who seem intent on turning the South China Sea into their own private lake. Or those “sneaky Singaporeans” who have been stealing our water for years and are now about to make off with the last bit of real estate we own on the island. Or even those “prickly Indonesians” who have taken to spitting on our flag and calling us names. All these make good excuses. No worries of a real war though because the US will, as always, have final operational control over all the weapons we buy. After all, these weapons are intended to advance American interests rather than our own. It’s going to take every ounce of our national will to say no to more needless defence spending, especially when so much will be quietly promised to so few to just say yes.